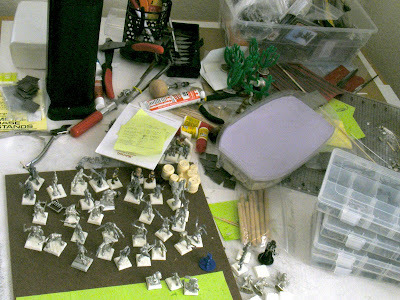 TOP: My work bench is as cluttered as ever! 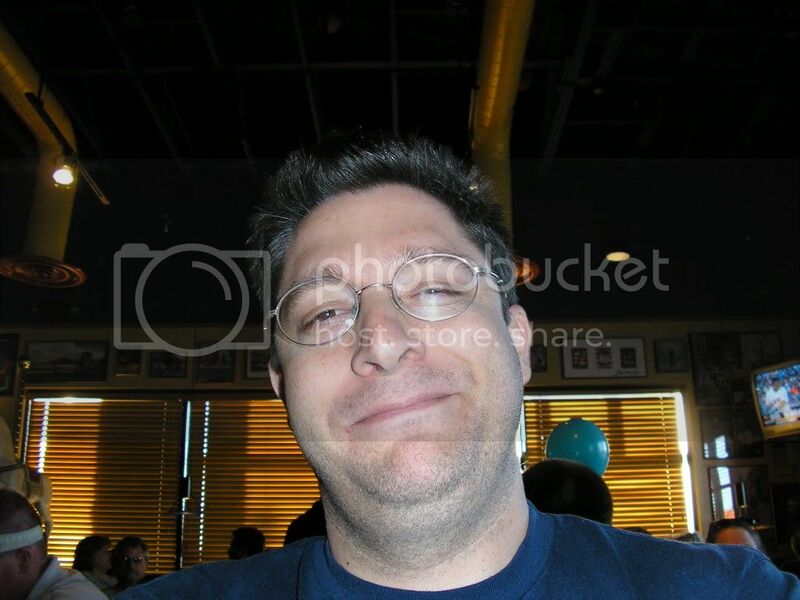 Sorry for not having updated recently... as I might have previously mentioned, I've put most of my efforts into finding a new job and pay dirt finally hit. After going to what seemed like about a million interviews, I finally got picked up and started a new job just this past week. It's a good job and came with much better pay, a shorter commute, and a great, new boss. In other words, I'm very happy and that means I can start putting my "job search" energy back into my blog! Huzzah! Gaming has been good and the April MWS meeting was nothing short of fantastic. We had something like six games, which I'll have to write about later. Several of the local guys have taken a keen interest in FOG (Field of Glory), Osprey's new ancients rule set. That excites me since I've put alot of energy in to building some ancients armies this year, specifically a Samurai army, a barbarian army, and an Arab army. I'm looking forward to getting those minis into action! My find of three packs of the above minis are what inspired me to start a Barbary Pirates / Corsairs project. The package was labelled RAFM JT-10 CORSAIRS and came with three crewmen. The kneeling, be-turban'ed fellow on the left is armed with a musket. The center fellow is a truly gruesome sculpt with an oddly proportioned body (huge head, Popeye-like arms, etc. ), but nevertheless I like 'im! His left hand comes with a pistol while his right has an oddly positioned knife. I think I'll be modifying him. The fellow on the right looks more properly Colonial Egyptian with a fez, baggy clothes, and a cutlass. Again, I think I'll play with some weapon swaps with this guy and perhaps reposition his head. 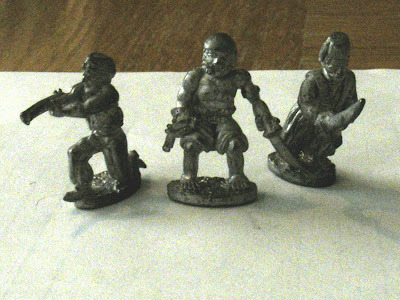 With the exception of the middle guy, the other two figures are decidedly old-school 25mm and wouldn't fit in perfectly the the overgrown scale-creep 28mm pirate figures made by most manufacturers these days. However, I'm not so picky so they'll do fine by me... even if some of their crew mates will have been obviously eating their Wheaties and genetically modified "Frankenfood." The above three figures have come from used bins and off trades for some time. The fellow holding a small chest of loot on the left is unidentified although he looks like an old 25mm Hinchcliff to me. The fellow in the middle is Ral Partha and he needs a new spear tip, of which I have a few waiting in my bitz box for him. And the fellow on the right who looks suspiciously like Sinbad came from a 1980's Grenadier line if I'm not mistaken. The above based lot have come from a variety of trades and flea markets. 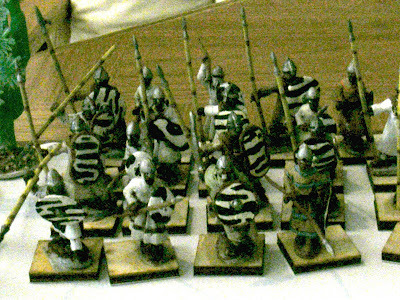 I have no idea who manufactured them except for the un-primed fellow leading the unit. He is Gripping Beast and out of a command pack if I'm not mistaken. 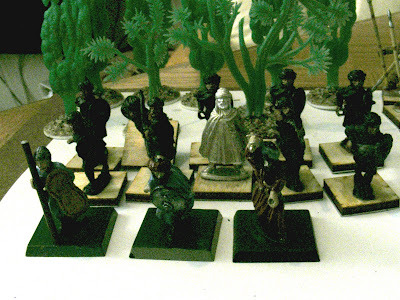 Behind the Arab warriors, are some cheap plastic plants I based on fender washers. 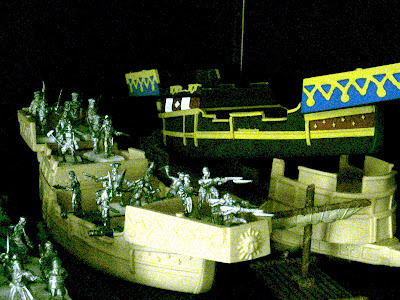 And lastly, the last photo is of some undead pirate crew along with Flagship Games ships in progress. 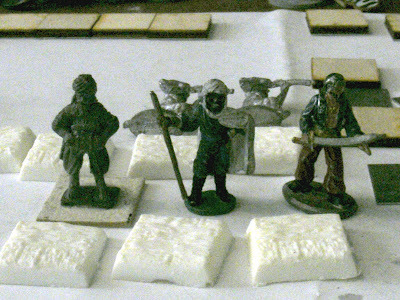 The crew come from a variety of sources including Reaper, Black Cat Minis, Moonlight Minis and others.